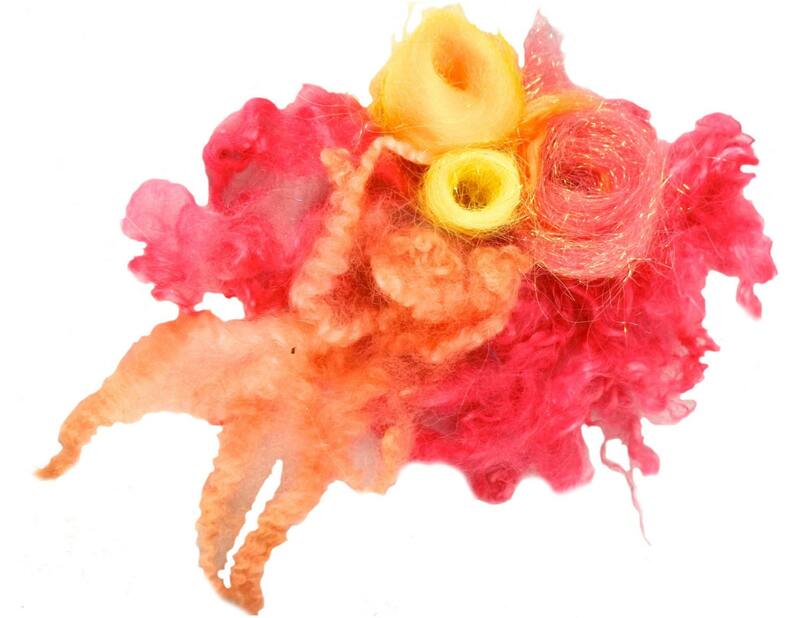 The photos are meant to show a variety of possible fibers that you will receive. You pick up to two colors for the basis of your package. 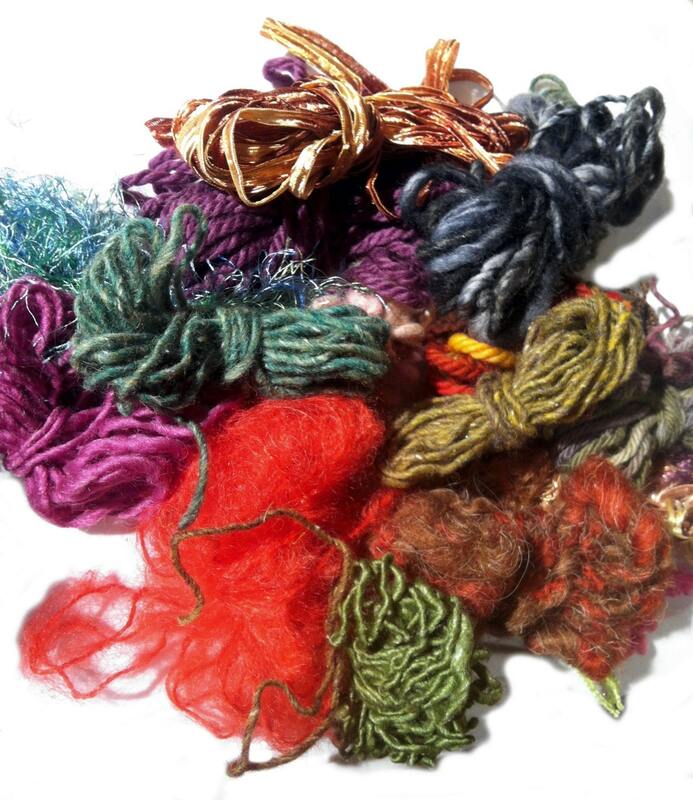 We'll then put our painterly senses on the burner and put together an assortment of fiber sure to inspire! 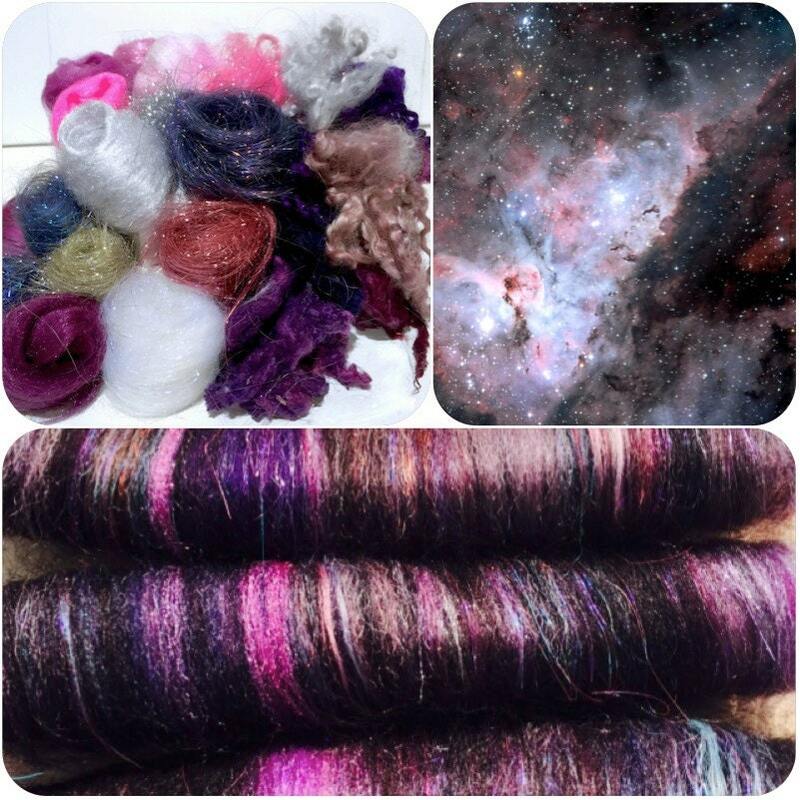 We love to put together fiber packs, but we haven't the time to spin, felt, weave, knit (you get the idea!) everything we dream up -- let us surprise you! With each color you choose, we will send variations on that color as well as bits of color to complement it. Not match, mind you, but complement, accent... Laura was *strictly* a painter for over 25 years and has great experience with color. She also teaches color at the local University, so she'll pull things together in ways that she often did with her students, in ways that challenge and inspire. 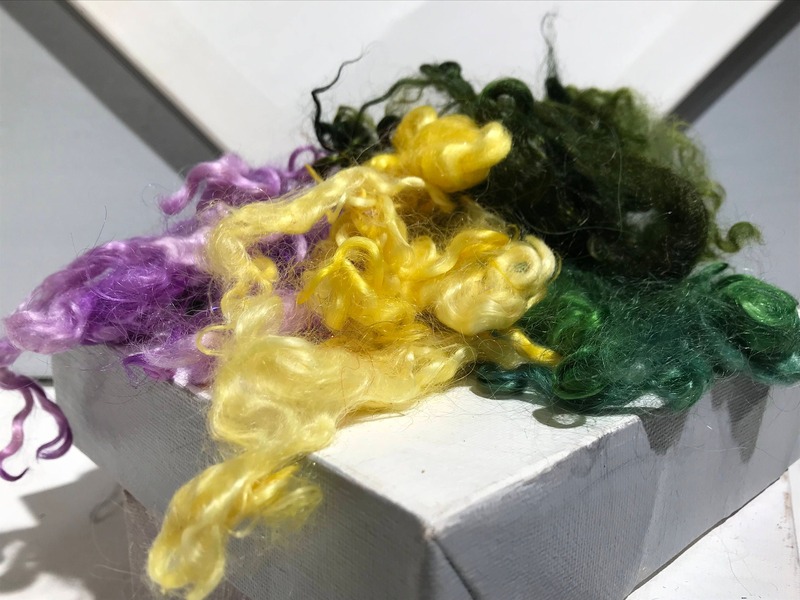 ** Our pictures are that of past assortments we put together for spinning and felting in the studio because we knew we wanted to offer this listing. 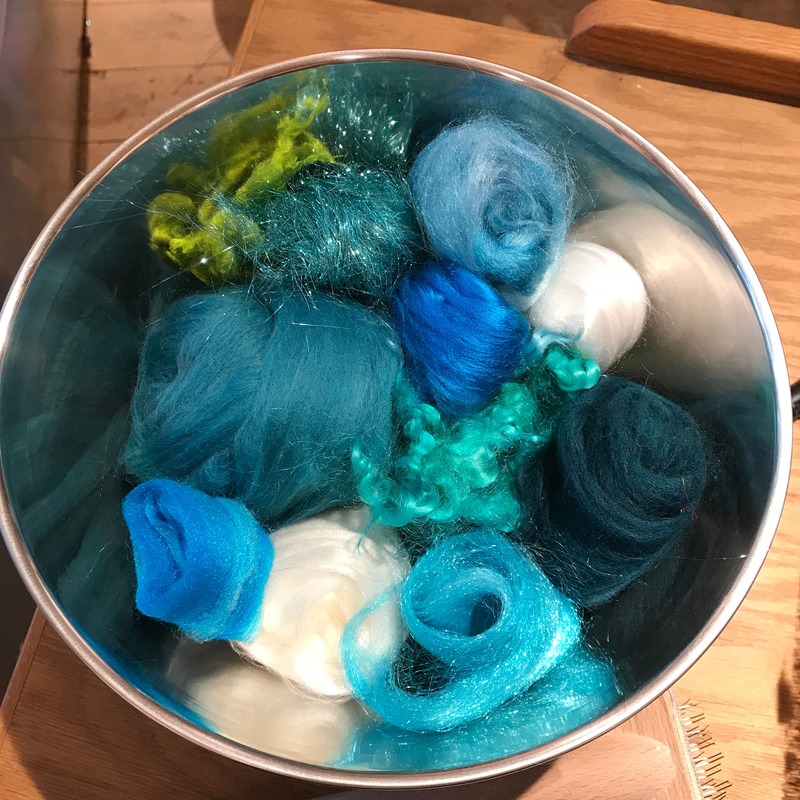 *We use a mix of commercial and locally grown fiber. The latter may contain bits of vegetable matter. 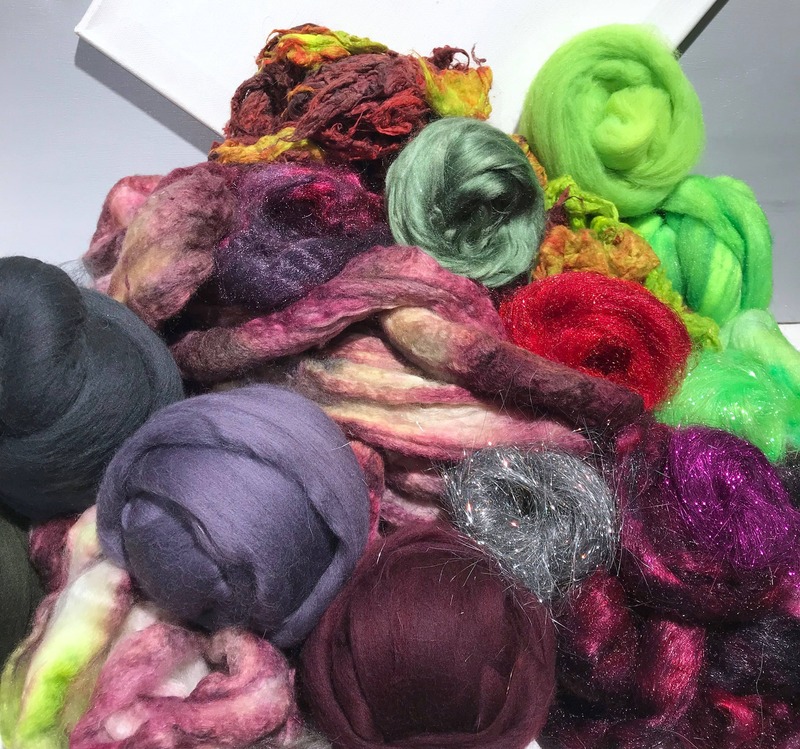 I received a great selection of fiber, many that I haven't worked with. Can't wait to use these! So many fun textures. Just what I needed to add spice.